My journey along the Cumberland Valley Beer Trail continued with a visit to Pizza Boy Brewing just outside of Harrisburg, PA, which is also known as Al’s of Hampden. If there is one food that is meant to be eaten with beer, it would have to be pizza. There is just something about the combination of crust, sauce, melted cheese, and the assorted toppings that just begs for a beer. Pizza Boy Brewing has taken the relationship of pizza and beer to the next level. Not only did they have 30 of their own beers on tap, but they also had an additional 69 guest taps serving local and regional craft beer and ciders, as well as craft beer from all across the country! Now if you or that special someone prefer wine, they also have a wide selection of wines from across the US and around the world. If you wanted to take some beer home, they have a number of beers available for sale in 6-packs and cases. And while they don’t sell growlers, they do offer growler fills. 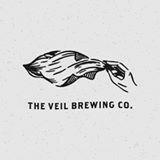 Now if the craft beer or cider you had your eye on is not available in a 6-pack or case, and you don’t have a growler, they do have crowlers which are 32 oz cans they fill and seal on site. And did I mention they had pizza? I particularly liked the Steak and Onion pizza, but a close second was the Hot Hot Hot pizza with pepperoni, bell peppers, jalopenos, onions, and garlic. If you like pizza and beer, this place is about as close to heaven as you can get without becoming living impaired. I had the Pizza Boy Flying Laserbeam IPA, and the Country Lager. The Laserbeam had a golden color, light citrus aroma, a hop-forward flavor with notes of orange citrus with mild malt backbone. Good hop presence, but not a lot of malt. The Country Lager had a bright clear golden color, with a crisp refreshing flavor with a hint of toasted bread. Both beers were solid and very tasty. Paired with their pizza, they were outstanding. My next stop was Ever Grain Brewing in the Hampden Terminal shopping center. The brewery is tucked away inside the shopping center, and a little hard to see, but definately worth finding. It had an open and very comfortable tasting room, with a number of noteworthy craft beers. The staff was cheerful and eager to answer any questions you might have or give you sample of any of their offerings. The HellYes Lager had a golden orange color and a bready slightly sweet aroma with some floral notes. The flavor was dry and crisp but still had a light malty sweetness and a clean finish. The IDA 007 IPA had a light citrusy/fruity aroma. It was hop forward with a medium caramel malt backbone. Surf Breakers was a west coast IPA with a light clear amber color and a bright orange citrus aroma. It was also hop forward but with a lighter malt presence. I was a little torn between the Udder One milk stout and Dark Necessity Imperial Stout, but finally settled on Dark Necessity. It was dark and opaque, with a thin tan head that didn’t last long. It had a rich chocolate and coffee aroma with a strong roasted malt presence with some bitter chocolate notes and a hint of molasses. I should also mention they have a locally sourced kitchen called Little Bird Craft Kitchen which has a very eclectic menu with some unusual menu items you don’t see very often, such as venison meatballs, bone marrow, kimchi tacos, dry aged duck breasts, and fried chicken ramen. There were also more common menu items, but why go for something you can get anywhere? I desperately wanted to try some of those items, but unfortunately I had filled up on pizza. I’ll just have to come back another day to eat, and try more beer, of course! Next stop: Harty Brewing and Desperate Times Brewery.